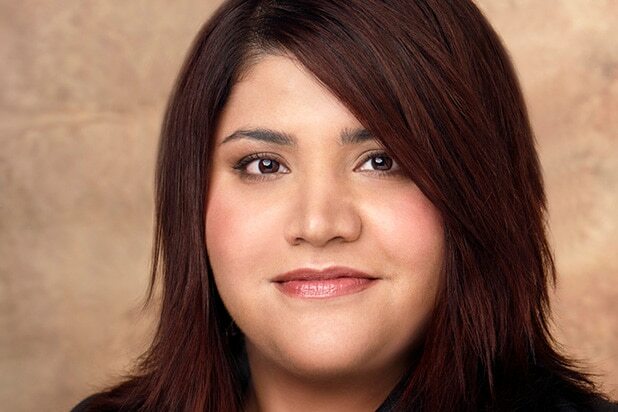 MTV is losing yet another executive as the Viacom network’s Head of Scripted Development, Mina Lefevre, moves to Facebook. Lefevre will serve as Head of Development at the social media platform, working with Head of Global Creative Strategy Ricky Van Veen on the development of both scripted and unscripted content for the social media platform’s new video tab. “I have always been drawn to the idea of building something and the idea of being part of the team that helps build Facebook’s original content ecosystem…well, that just seems like a dream!” Lefevre wrote, announcing the news on her Facebook page on Wednesday. Lefevre joined the network in 2013, and was promoted to executive vice president and head of scripted development in 2015. She becomes just the latest executive to depart the cable network in recent months. Network President Sean Atkins stepped down after a year on the job back in October and was replaced by Chris McCarthy, who now oversees MTV in addition to VH1 and Logo. Atkins was soon followed out the door by Head of Original Programming Michael Klein. Facebook had announced in December that it planned to start buying original video content, specifically tailored to the platform and mobile-first viewing. 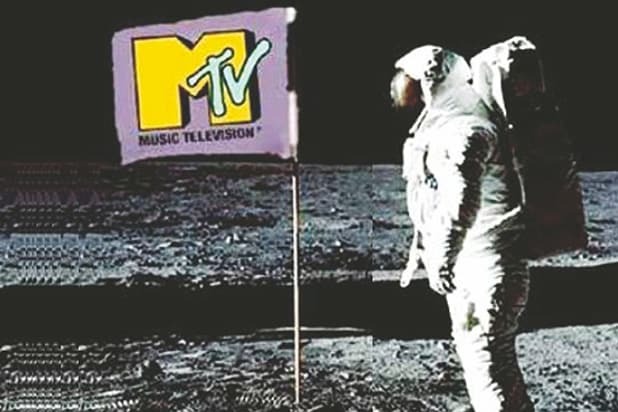 MTV officially premiered in 1981 with the words "Ladies and gentlemen, rock and roll" played over footage of the launch of the Columbia space shuttle, followed by the debut of the network's now-iconic logo. 1981 – "Video Killed the Radio Star"
MTV's kicked off it's 24-hour rotation of music videos with The Buggles' "Video Killed the Radio Star," sending the format mainstream for the first time. 1982 – "I want my MTV!" MTV enlisted famous musicians -- including Pat Benatar, David Bowie, The Police, Kiss, Cyndi Lauper, Madonna, Lionel Richie and Mick Jagger -- in 1982 for a legendary marketing campaign calling on viewers to ask their cable companies to carry the network. In its earliest days, MTV focused mainly on rock music by white artists, leading to cries of racial discrimination. The network finally reversed course in 1983 when it was pressured into airing Michael Jackson's video for "Billie Jean," followed closely by "Beat It" and the hugely popular "Thriller." MTV debuted the original Video Music Awards in 1984, with Madonna doing a live performance of her single "Like a Virgin," and The Cars' "You Might Think" walking away with the moonman for Video of the Year. May 1992 – "The Real World"
MTV stopped being polite and started getting real in 1992 with the premiere of "The Real World," basically inventing the modern reality TV genre in the process and setting the stage for hundreds of imitators in years to come. September 1998 – "Total Request Live"
As MTV continued to shift away to other kinds of programming in the late '90s, the Carson Daly-hosted "TRL" became the network's main outlet for music videos, featuring a countdown of the most-requested videos of the day. One of several prank series throughout the network's history, "Jackass" ran for just two years, but launched the careers of stars Steve-O, Johnny Knoxville and Bam Margera, and paved the way for Ashton Kutcher's "Punk'd." March 2002 – "The Osbournes"
The most-watched MTV series when it premiered, "The Osbournes" documented the domestic life of Black Sabbath frontman Ozzy Osbourne, making it one of the first entrants in the now-common "celebreality" genre. September 2004 – "Laguna Beach"
A year after the premiere of Fox's "The OC," MTV debuted the reality series "Laguna Beach: The Real Orange County," the world's first introduction to the life of Lauren "L.C." Conrad. The even more popular spinoff "The Hills" followed in 2006, blurring the line between scripted and unscripted television. The series finale of "TRL" marked the end of an era for MTV, with the music-centric program taking its final bow at a time when "The Hills" was hitting its peak, and "Jersey Shore" and "16 and Pregnant" -- a show which would eventually birth three editions of spin-off "Teen Mom" -- were less than a year away. December 2009 – "Jersey Shore"
Snooki, JWoww and The Situation became household names when the "Real World"-inspired series "Jersey Shore" hit the network and became one of the most popular shows on cable TV at the time. MTV began its push into scripted programming in 2010 with disappointments like "The Hard Times of RJ Berger" and a U.S. adaptation of "Skins" balanced out by major hits like the comedy "Awkward" and the highly successful "Teen Wolf." January 2016 – "The Shannara Chronicles"
For years the network struggled to find a show that could match the success of "Teen Wolf," so in 2016 MTV bet big on "The Shannara Chronicles," an expensive adaptation of the series of fantasy novels by Terry Brooks. July 2016 – The end in sight for "Teen Wolf"
Series creator Jeff Davis announced at San Diego Comic-Con that "Teen Wolf" would come to an end in 2017, leaving viewers to wonder what the network's programming slate will look like once its tentpole program goes off the air. September 15, 2016 – "Wonderland"
At the network's upfronts presentation in April, MTV announced it would be bringing music back to MTV with a few new music-themed programs, including new multi-platform live performance show "Wonderland" and the return of the long-running "MTV Unplugged."